--A skier was killed in a crevasse fall on Mount Rainier on Sunday. It appears that the team skied to the summit and Michael Naiman, 42, accidently skied into a crevasse on the way down. To read more, click here. --The American Alpine Club Cragging Classic is happening in Smith Rock this September. To learn more, click here. 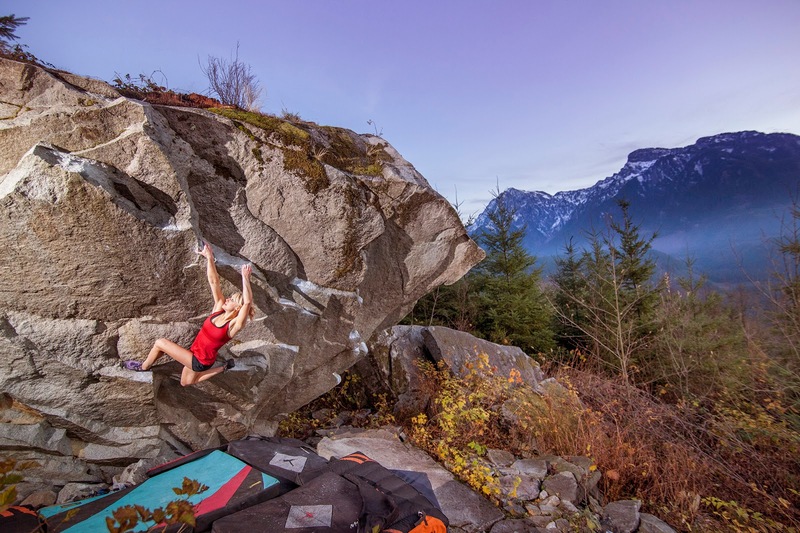 --There are still several stewardship events available in the Pacific Northwest for climbers who would like to give back to their community. To read more, click here. --California News 4 is reporting that, "A rock climber was rescued on Thursday after falling in the Twin Crags area near Tahoe City, according to the California Highway Patrol. Authorities say at around 11:10 a.m. Thursday, July 13, a CHP Helicopter 20 (H-20) was contacted by Cal-Fire Grass Valley Dispatch requesting a hoist for a fallen rock climber in the Twin Crags area near Tahoe City. H-20 was in the Truckee area and responded from Stampede Reservoir." To read more, click here. --The Las Vegas Review-Journal is reporting that, "The National Park Service is considering a year-round online reservation system for access to Zion’s most popular trails and attractions in response to a massive surge in visitation at the park 160 miles northeast of Las Vegas." To read more, click here. --The Aspen Times is reporting that, "A 25-year-old man was attempting to make his way over the top of a large boulder on the way up Capitol Peak on Saturday when it came loose and he fell to his death, an official said Monday." To read more, click here. --A Colorado-based Instagram account is naming and shaming people who post inappropriate photos of themselves breaking rules in the backcountry. Check out this article about the account! --KUTV.com is reporting that, "Tragedy struck at a popular climbing spot in Utah's Big Cottonwood Canyon, Thursday as a climber fell to his death in front of his girlfriend and friends. Matt Hearn, who happens to be a member of the KUTV family, was climbing when he fell 100. According to investigators his gear somehow failed him." To read more, click here. --The Register-Herald is reporting that, "a climber was airlifted from Burnsville Ranger Station to Charleston Area Medical Center Saturday after falling 40 feet while climbing cliffs at the Endless Wall Trail in West Virginia's New River Gorge Saturday evening, Fayette County officials reported Monday." To read more, click here. --There have been several SAR incidents in New York State over the last week. At least one included a rock climber. To read more, click here. --IFLScience and many others are reporting that, A pair of bodies discovered in a shrinking glacier in Switzerland are believed to be a couple who went missing 75 years ago, according to a report in Swiss newspaper Le Matin. Marcelin and Francine Dumoulin disappeared in the area in August 1942 while tending to their cows." To read more, click here. --And finally, if you're 62 or over, the lifetime NPS Parks Pass is about to jump from $10 to $80. Get it before this happens! To read more, click here.